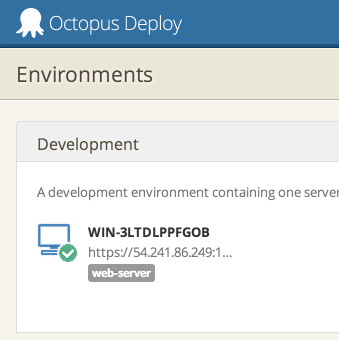 The Tentacle agent used by Octopus to automate deployments has long supported configuration via command line. It's possible to automatically download the MSI, install it, configure the Tentacle instance, and even register it with an Octopus server, all via the command line. When you set up your EC2 instance and assign a security group to it, make sure the Tentacle listen port that you specify (10933 by default) allows TCP traffic. 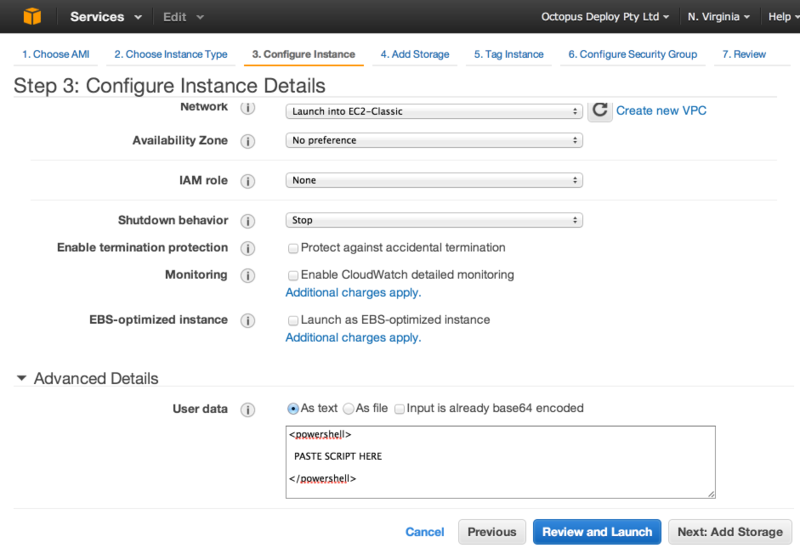 The script automatically adds the exception to Windows Firewall, but you need to do the same for the AWS firewall.